What a difference time can make. Some parts were curly while other sections were wavy and straight. I wore wigs until my hair grew to a more manageable state (about 6 or 7 inches). Not only did I hate having my hair cut so short, having Alopecia made me afraid. Every year since 2007 I’d find quarter-sized bald spots in the back of my head. What if everyone noticed? How does someone with Alopecia start their hair growth journey when chunks of hair fall out at unforeseen moments? What if people noticed? Would they laugh? I grew up never knowing my true hair texture until I decided to “go natural.” Going natural was a huge test of confidence for me. Here I was thinking that I had fine textured hair for 26 years of my life. Only to find out that I had coarse unruly hair in which some sections were semi-curly, loose curls, tight curls and coarse zip-zag shaped strands. My hair wasn’t perfect like the models and countless natural hair bloggers I’d seen on YouTube and Instagram. After a year of wearing wigs and braids, 2013 was the year that I felt brave enough to be myself and battle the realm of uncertainty. 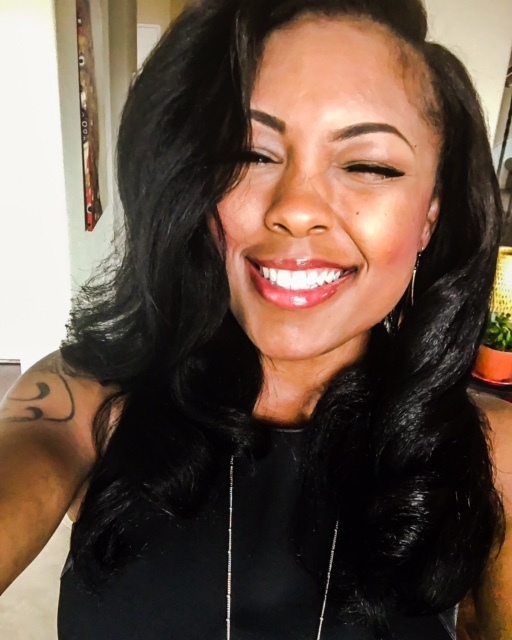 I studied various natural hair styles and found what worked best for me. 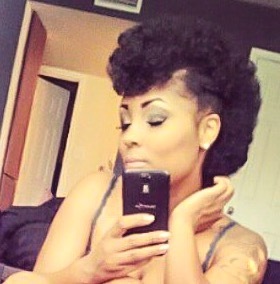 My go-to style was the Fro-hawk. I remember spending hundreds of dollars every month or month and a half on natural hair products. I went through the dreaded “wash ‘n’ go” attempts. I must say, the phrase “wash ‘n’ go” is completely misleading. I watched tons of video tutorials on “how to perfect your wash ‘n’ go.” That didn’t work for me. I have what is known to some natural hair enthusiasts as 4b/4c hair type. Most products catered to women and men with 1a to 3b hair types. I tried co-washing, I tried curl puddings and all the other products that were on the market. For the most part, my hair was still dry and brittle and if I didn’t experience dryness I dealt with product build up, flaking, and looking like I had a Jerri Curl. I spent day in and day out researching natural alternatives to store bought hair products because I knew something had to give me relief. I had hundreds of questions- what does natural mean? Has the FDA defined what is considered a natural ingredient? Am I getting ripped off? After countless trial and error events, I mastered what worked for my hair and I figured that if it works for my coarse and brittle hair, it has to work for others like me. Now back to my Alopecia. Between 2007 and 2012 I experienced balding in different parts of my head ranging from a nickle to a quarter in size. I always wore weaves and wigs when my hair would fall out. I didn’t know if Alopecia was common and if it was a curable condition. I wondered if I was doing something wrong and endlessly stressed myself out with trying to guess when I was going to lose a patch of my hair again. Wash day was always dreadful. After I decided to give relaxers and other forms of chemical processing a break, I became very protective of my hair and scalp. I learned to love my hair and I began treating it very delicate as if it were a prized possession. I thought to myself, if we are apart of the earth, then why wouldn’t consuming things of the earth replenish what was lost? Alopecia doesn’t go away, but I learned how to treat the condition. It has been almost 5 years since my last bald spot. There are a few lifestyle changes that I believe is attributed to my Alopecia lying dormant for all these years, but one of them without a doubt is the use of my hair care line that was created to combat severely dry and brittle hair. If you’re interested in learning more about my premium quality handmade hair care line, please visit www.enviihaircare.com. Did you experience similar events? 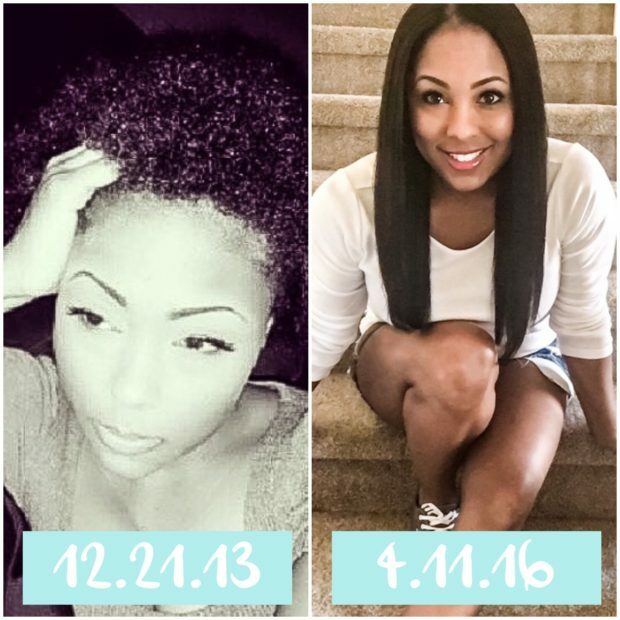 I’d love to know about your hair journey!